Westland Avenue in Newcastle where a man was arrested last night. 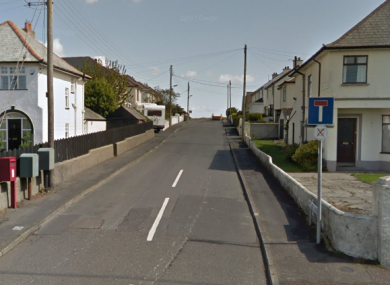 A PREGNANT WOMAN had a bottle smashed across her head by a burglar in Co. Down last night. The incident happened at about 5.35 am last night when a man forced his way into a home in the Burren Meadow area of Newcastle. During the burglary, the man assaulted the pregnant female occupant of the home, punching her and smashing a bottle on her head. Her injuries have been described as non-life threatening. The woman’s young daughter was also present in the home and police say she was left distressed by the ordeal. Shortly after the incident, a 35-year-old man was arrested in the Westland Avenue area and he is currently in custody helping police with their enquiries. The PSNI are asking anyone who may have noticed any suspicious activity in the above named areas to contact them quoting reference number 407 08/04/2018. Email “Pregnant woman has bottle smashed across her head by burglar in Co Down”. Feedback on “Pregnant woman has bottle smashed across her head by burglar in Co Down”.